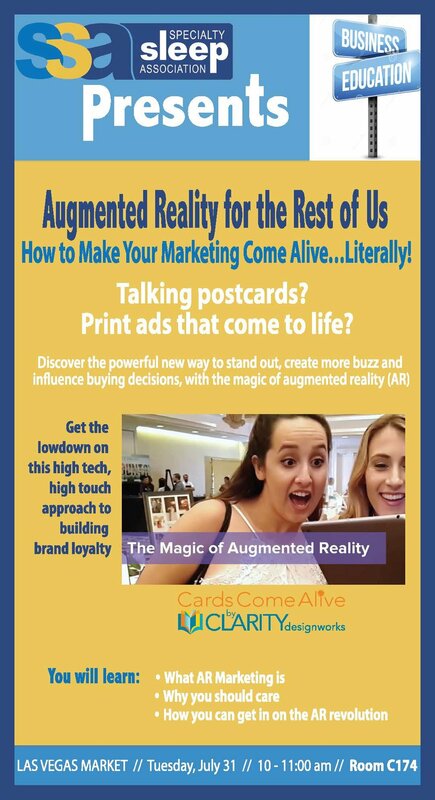 How to Make your Business Cards, Literature, Displays and Print Ads Come Alive!! In this Summer Market presentation, graphic designer Carla Green highlights the capabilities of Augmented Reality (AR) and shares examples of it currently in use, from custom applications by major corporations to an exciting new marketing tool called REVEALiO that makes AR an affordable and viable option "for the rest of us." See the presentation video below.